The timeless animation classic based on the best-selling novel by Richard Adams. Nestled among the peaceful meadows of country England lives an idyllic community of rabbits but when warned that their warren will be destroyed, a small group escapes into the unknown countryside in search of a new home. 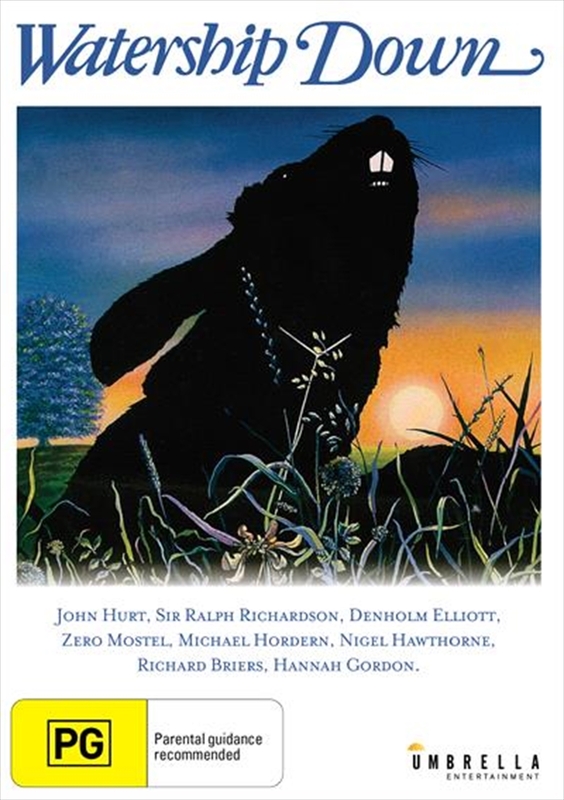 Led by the visionary Fiver (Richard Briers), the courageous Bigwig (Michael Graham Cox), the clever Blackberry (Simon Cadell), and the honourable Hazel (John Hurt), the rabbits face daunting challenges as they struggle to pursue their dream, battling the vicious General Woundwort (Harry Andrews), the cruel leader of another warren, but also making an unlikely friend - a batty seagull named Kehaar (Zero Mostel). Director Martin Rosen brilliantly frames the tale from the rabbits' point of view, while the affecting, painterly animation style further allows the viewer to identify with each character's engrossing journey. Over 40 years since its initial release, Watership Down remains a compelling tale of courage, loyalty and thrilling adventure.